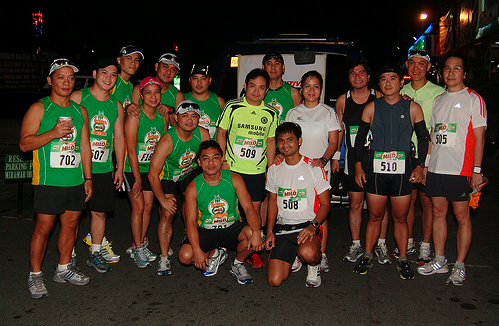 Congratulations to the Cebu Executive Runners Club (CERC). 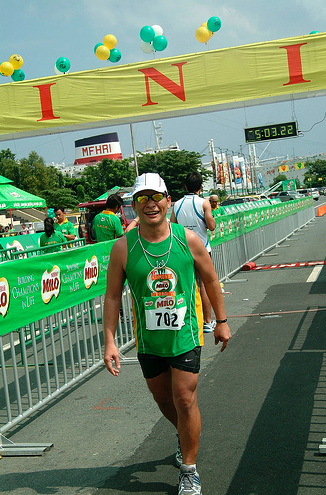 During the 33rd Milo Marathon in Manila last July 5, nearly a dozen runners joined the 42-km. marathon. 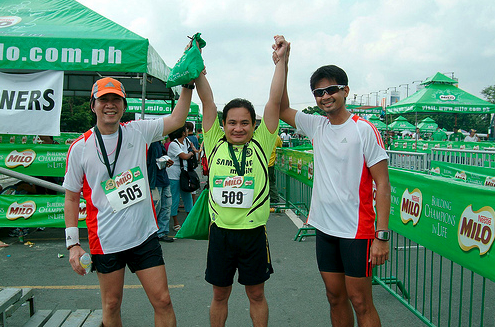 The star of the Cebu squad was Harthy Satina, who finished his third marathon with a Personal Best (PB) time of three hours, 52 minutes. 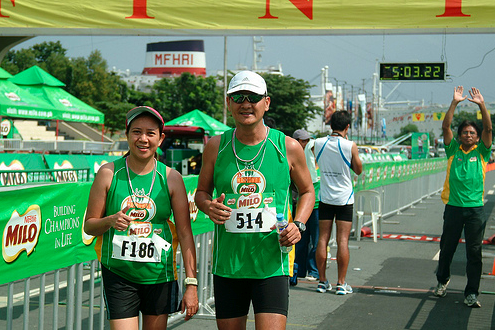 Having narrowly missed “sub-4” (under four hours) in the Singapore Marathon last December (Harthy succumbed to cramps 200 meters from the finish line and finished 4:09), this time Harthy ran pain-free and led all Cebu runners. 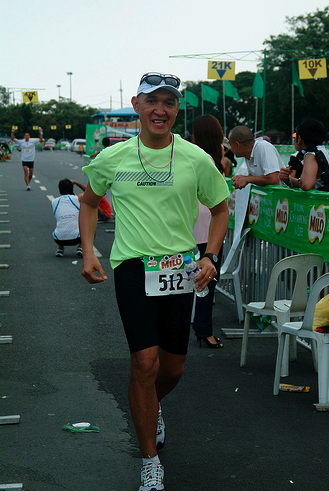 Dr. Vic Verallo, with minimal training because of an injury, came in next at 4:50, followed by Roger Cuenco, Jesse Taborada, Kenneth Casquejo, Roy and Dr. Rosan Trani, Joel Garganera, Jun Remo, Dr. Albert Santos and Serge Amora, among others. 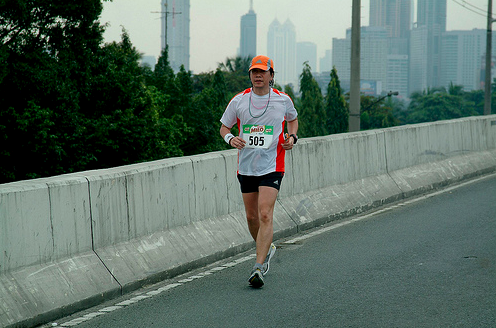 Meyrick and Perl Jacalan also ran with the group. See more photos at Meyrick’s Flickr photostream. 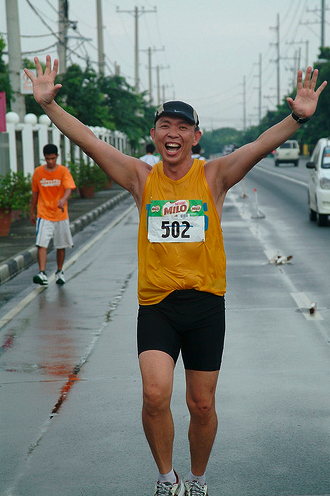 im very interested in joining marathons..
would you help me find a group who caters to newbies?